This is really simple. First of all give your fish a wash, then with a sharp knife score across each fish down to the bone at 2.5cm/1 inch intervals on both sides. This allows flavour to penetrate the fish and lets the fish’s juices come out. Once cooked, remove the fish from the oven and allow them to rest for 3 or 4 minutes while you get your guests round the table, serve them some wine and dress your salad. Then you can come back to the fish. Divide them up at the table on to 4 plates, making sure that everyone gets some tomatoes and juice spooned over the top of the fish. Lovely! Sift the flour on to a plate and season well with salt and ground black pepper. Dip the fish fillets into the flour, to coat evenly on both side. Heat the oil and butter in a large shallow pan until foaming. Add the fish fillets and fry over a medium heat fro 2-3 minutes on each side. Life out the fillets carefully with a metal spatula and place them on a warmed serving platter. Season with salt and ground black pepper. 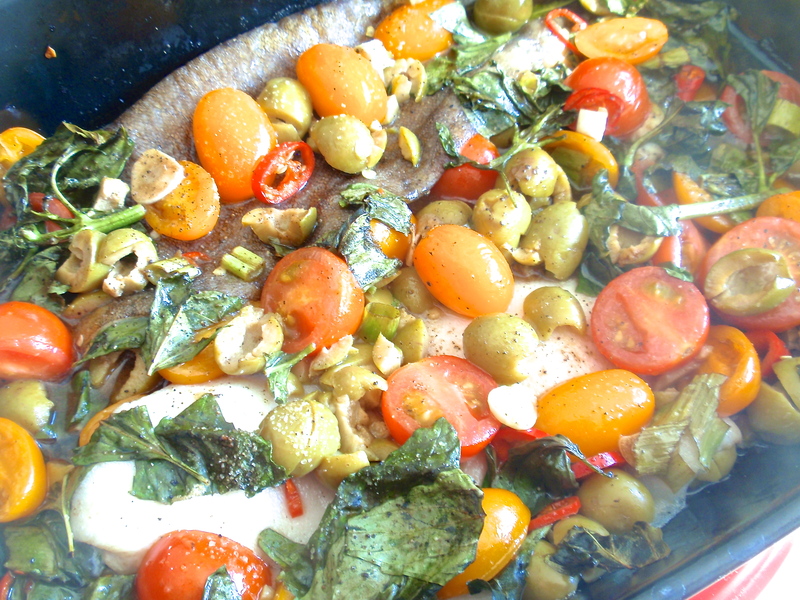 Add the lemon juice and capers to the pan, heat through and pour over the fish. Garnish with parsley and serve at once. This is such a ridiculously simple and quick dish to make (there’s really no reason why people should say that it’s difficult to cook fish when you have such simple recipes!) 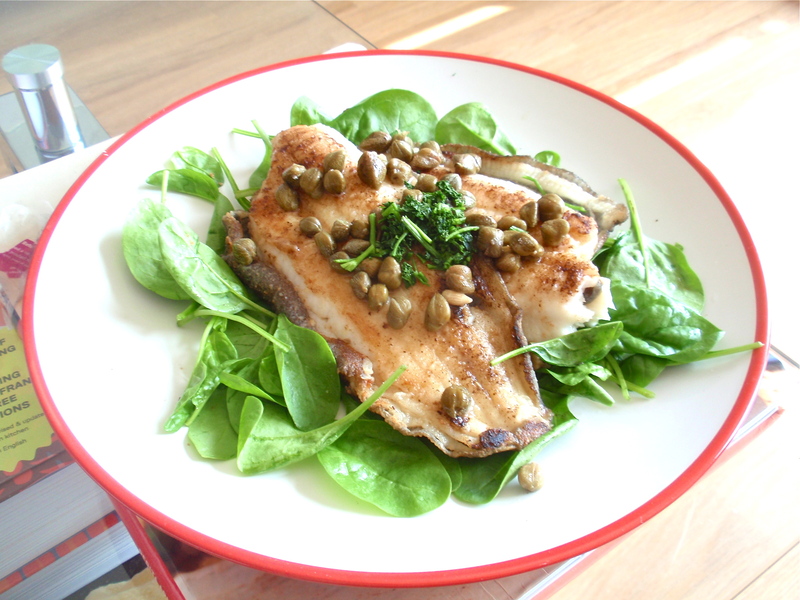 I made it in 15 minutes (right after I got back from Waitrose; managed to get myself some reduced price lemon sole as well) I really like the combination of the mild, crisp taste of the coated fish and the sharp lemon and caper sauce.